If you are a creative soul at heart and you want to start your own business venture in the new year, there are plenty of things you can do. One of the great ideas you can try this year is making your own clothing such as t shirts and vests. Designing your own clothing is a lot easier than you would think and it can be something which is fun for you to do in the evenings and at the weekends. Here are some of the ways you can start designing and decorating your own clothes. One of the ways you can design your own clothes and bring a touch of fun to them would be to add some adornments and embellishments to the piece. This could include anything from sequins, foil, woven labels and even stitching which can add some fun and character to the item. It can always be fun to add new elements to items of clothing and you can make the design as simple or complex as possible. One fun way to add colour to a t shirt could be to create a rubber stamp design and paint this stamp before adding it into the garment. For example you can buy a sheet of rubber and use a craft knife to carve out a design such as a cherry or a pineapple. You can then paint over the design with fabric paint and then simply stamp down the design onto your t shirt! It’s simple and effective and it means you can create the same design over and over again without worrying about getting the details wrong. 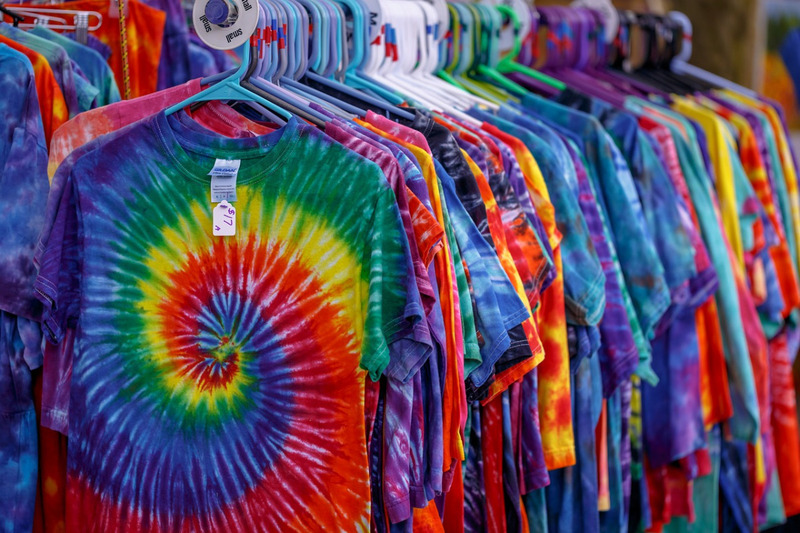 If you are a bit of a hippy at heart and you fancy trying your hand at selling on etsy, a fun way to create colourful pieces would be to make tie dye designs. All you will need for this is different coloured dyes, squeeze bottles and some rubber bands along with your t shirt. You can start off buy rolling up your garment and adding rubber bands every couple of inches around the shirt. When you are done you can choose as many colours as you like and squirt some dye in between the rubber bands, alternating as you go. Leave this to soak in overnight, rinse it out and put it through a washing cycle for a stunning design with hardly any effort needed! If you fancy yourself a bit of an artist as well as being crafty, you can make custom designs with intricate paintings done with fabric paint onto the shirt. It will take a long time and a lot of effort but you will come out with some stunning designs to use for your business. You can also create stencils for your designs which will allow you to recreate them over and over again. It will be a fun way to spend your time and you’ll be able to be truly proud of your creation at the end of it all.